what is linux? and why linux is best in the world? Linux Is a Unix like Open Source Operating System. that is available for many purposes and used by millions of users. An operating system is a bunch of program that works like a interface between computer user and hardware. This interface works like a communication between hardware and user. In Simple Word, Linux Is Just like, WIndows Xp, WIndows 7/8/10 and Mac OS. But one of the major difference is, linux is completely open source. means anyone can customize and can use linux. Hahaha! Because Android is also based on linux and used by millions of smartphones users. Many Other Types Of hardware also use linux as operating system that's why linux is now available for almost all hardwares. 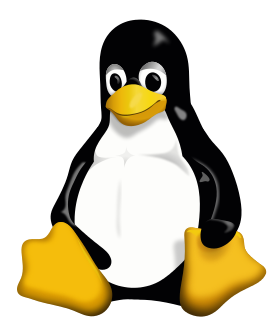 Linux is also one of the leading operating systems in servers and other big supercomputers. because linux is used on 99.6% supercomputer and server all over the world. Ans. Linux Is Available Is Both Interface CUI (Character User Interface) and GUI (Graphic User Interface). Linux supports almost all types of computer hardware and linux is one of best choice for programming, computer science and many more. linux is fast, stable and reliables. and freely available online. there are thousands of computer experts and programmers who contributing to create linux more better and fast. and as my personal opinion, linux is always great choice.